Western Africa, islands in the Gulf of Guinea, straddling the Equator, west of Gabon. measured from claimed archipelagic baselines territorial sea: 12 nm exclusive economic zone: 200 nm. Religions: Catholic 70.3%, Evangelical 3.4%, New Apostolic 2%, Adventist 1.8%, other 3.1%, none 19.4% (2001 census) . 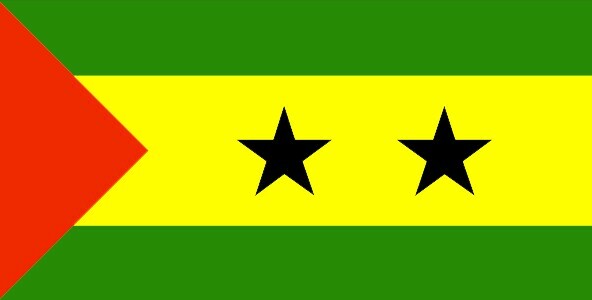 2 provinces; Principe, Sao Tome note: Principe has had self-government since 29 April 1995.